Choosing to take a bath instead of a shower is choosing rest over haste, pleasure over practicality. It’s not something most people do every day, simply because there isn’t enough time; so when you do decide it’s time for a bath, it’s probably because you feel in need of a little time away from the world. When you find yourself in the bathtub, it’s most often because you've taken a conscious decision to put the world completely on hold and have a good excuse for not attending to all the little things that might be stressing you out. You can’t answer the phone, you can’t check your emails, and you can’t listen your kids picking fights with each other. A bath is therefore the ultimate in relaxation – at least in theory. But if your tub isn’t up to the job, it’s hard to unwind effectively while you’re in it. Stained edges, peeling sealant and awkwardly-shaped edges do not make for an enjoyable bathing experience. The bathtubs below, however, are so beautifully designed that it would be impossible not to relax in them. 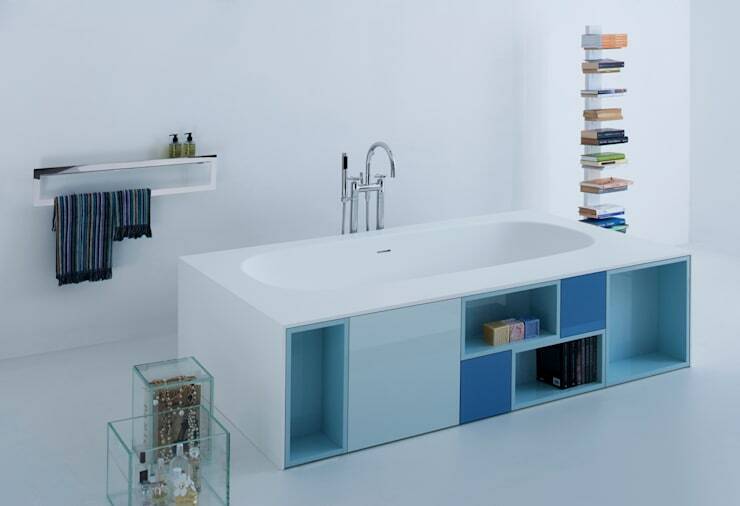 Each one would also provide a stunning focal point for your bathroom. 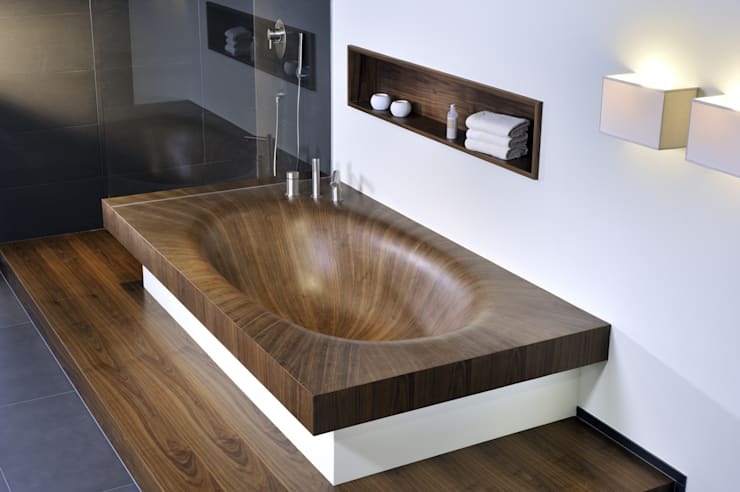 Wood is not a material most people tend to consider when it comes to the bathroom – mostly for reasons of practicality. 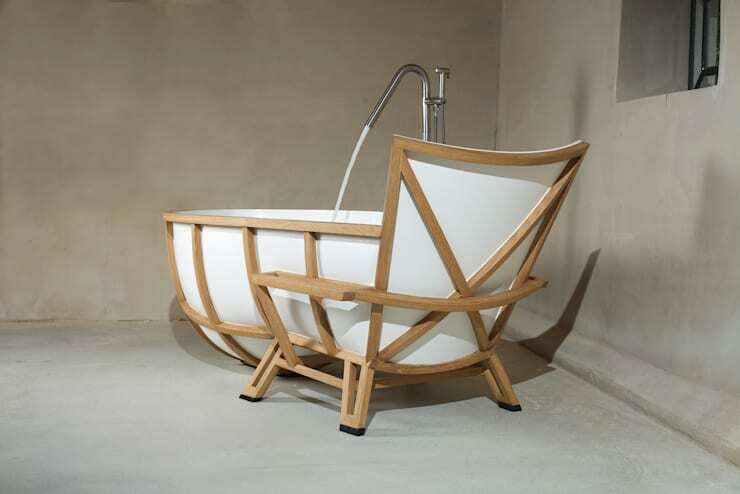 But as this supremely smooth and absolutely gorgeous bathtub shows, properly finished wood can be a star choice. Not only does it look fantastic, it also has the added quirky charm of being highly unusual as this is a look very few people opt for. In addition to its good looks, this piece is practical, too – notice how the taps have been placed at an angle to allow two people to sit comfortably facing one another. Little touches such as this make all the difference when it comes to comfortable bathing. This brave design combines all three of the objects listed above and the results are, as you might expect, quite impressive. The high placement of the tap makes for something halfway between a bath and a shower. It would be easy to duck your head under the stream of water to wash shampoo out of your hair, which is not the case with most bathtubs. 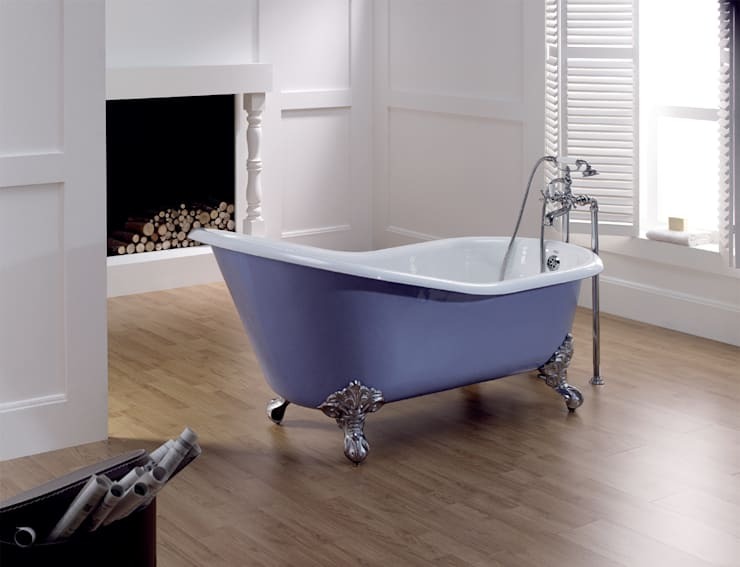 Here, several conventional elements – ornate feet, classic shape and freestanding design – are juxtaposed very effectively with a distinctly modern colour choice for the main part of the tub. 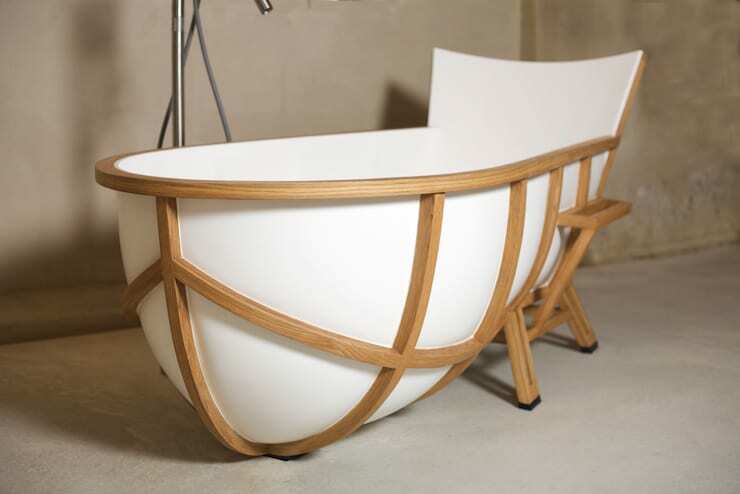 The result is something a little bit fresher than your standard vintage style bathtub. It’s not a phrase you hear often, probably because it’s a bit of an oxymoron. But this bathtub is so unashamedly unrefined it’s actually very elegant. 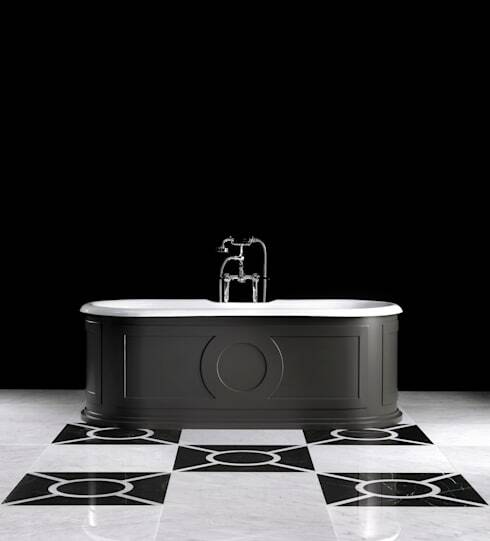 Black and white is an absolutely timeless colour palette, as the designer of this bathtub clearly knows. 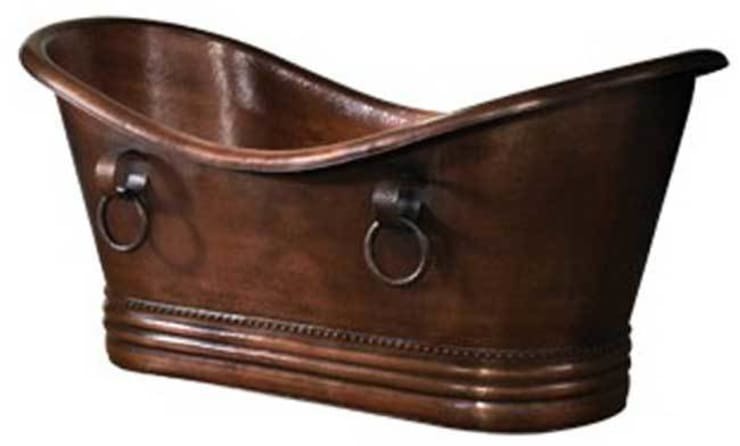 This look will never be dated, because there has never been a widespread fashion for black bathtubs. Although judging by this wonderful room, maybe there should be. 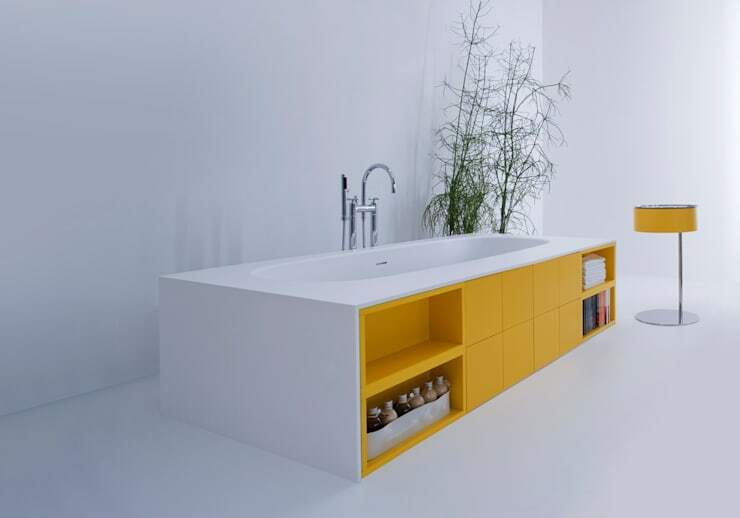 No space goes to waste with this bathtub designed to double as a shelving unit. It’s fun but functional, and it comes in some great colour options – like the slightly different yellow version seen below. 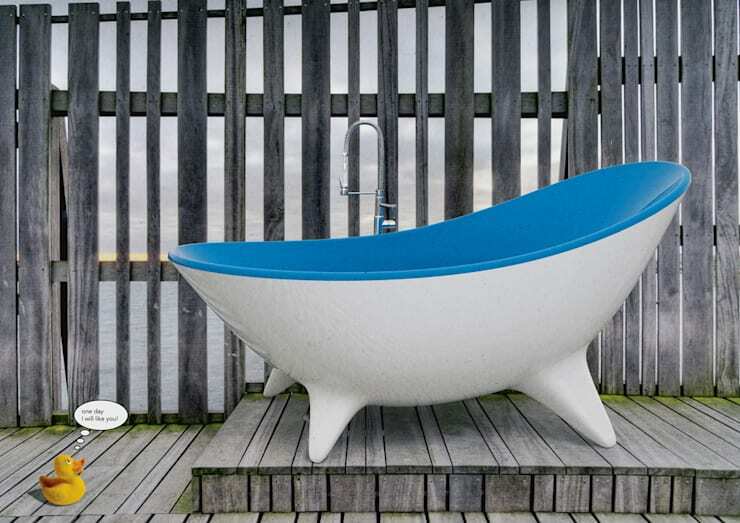 The features of this bathtub are so exaggerated it looks a little cartoonish, though definitely in a good way. We would probably recommend putting it in a bathroom instead, though – could get a bit chilly out there. 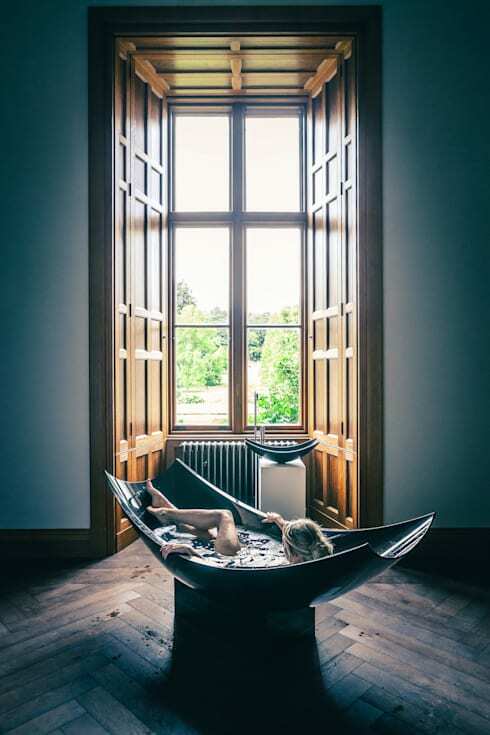 More like a sculpture than a bathtub, this magnificent piece is designed to lean right back in. No annoying edges here – just sheer relaxation.